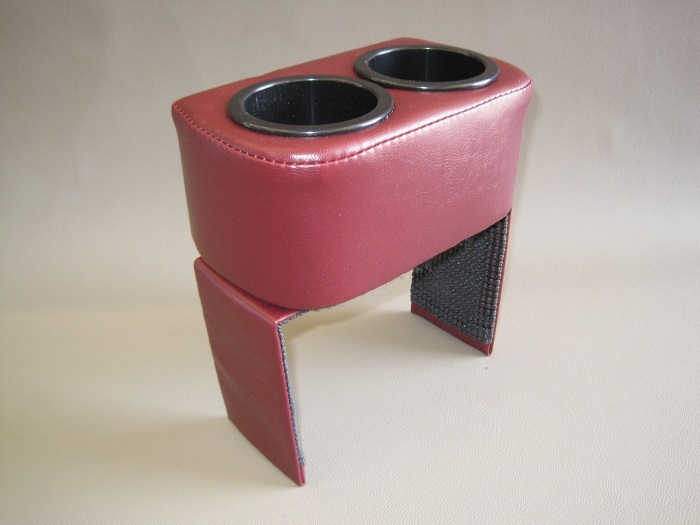 Custom made in U.S.A. dual beverage holder that is engineered to fit the Cadillac Allante Interior. Available in 4 colors, Black (1987-1992), Maroon Red (1987-1992), Natural Beige (1990-1992) and Saddle Tan (1987-1989). It saddles over the console directly in front of the armrest. It installs in seconds, just slip it down in place. 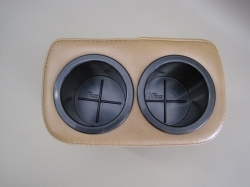 The cup holders are can size. This helps keep the width close to the factory console width. 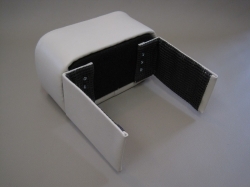 The lower wings have a rubberized layer on it to keep the holder in place during use. 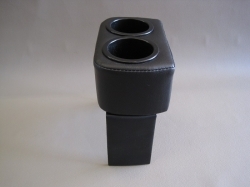 Slide the holder forward and flip up your armrest to access the console glove compartment, slide it back in place when done.